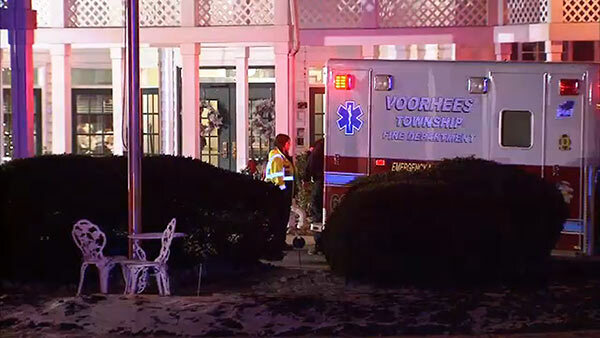 VOORHEES, N.J. (WPVI) -- A water issue forced the relocation of residents at a nursing home in Voorhees, New Jersey. It happened Monday evening at the Brookdale Voorhees Nursing Center at 1301 Laurel Oak Road. Nursing home personnel discovered a fractured water pipe associated with the water suppression system, which caused a portion of one of the ceilings to collapse. The displaced residents were moved to another section of the building. Officials say one firefighter suffered a minor injury and was treated at the scene.